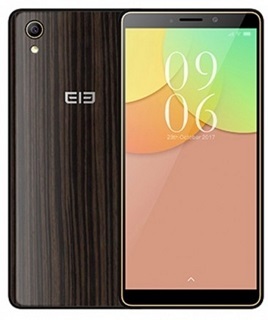 Elephone A2 is a smartphone device featuring a massive 8GB RAM and an internal storage capacity of 64GB. Coming with a display size of 5.5 inches and a screen resolution of 1440 x 720, Elephone A2 is powered by an Quad-core 1.3 GHz MediaTek MT6580 chipset running on Android v7.0 Nougat OS. The smartphone is packed with a smaller battery capacity which to me is a downside considering the fact that it is packed with a massive RAM and a good internal storage. Other downside of the device, is its camera. The smartphone rocks an 8 mega-pixel rear camera with a resolution of 3264 x 2448 pixels and an LED flash. For the front, Elephone A2 features just a 2 mega-pixel front facing shooter. See more details below.